The parish church of St Peter and St Paul in the North Yorkshire town of Pickering is home to perhaps the finest collection of medieval wall paintings in any English parish church. The paintings, which date to about 1450, are simply stunning. 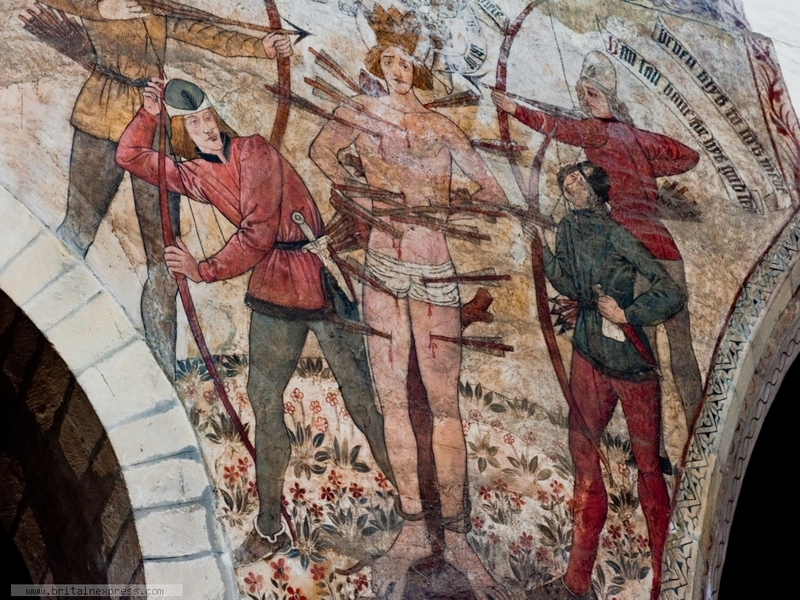 This is a depiction of the martyrdom of St Edmund. 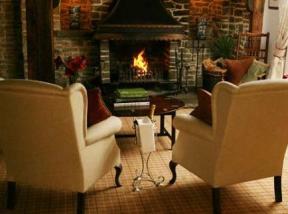 The clarity and colour of the paintings is simply superb, with a cartoon-like quality (that's meant to be a compliment! ).